Ali MacGraw and Ryan O’Neal in Love Letters. Image Austin Hargreave. 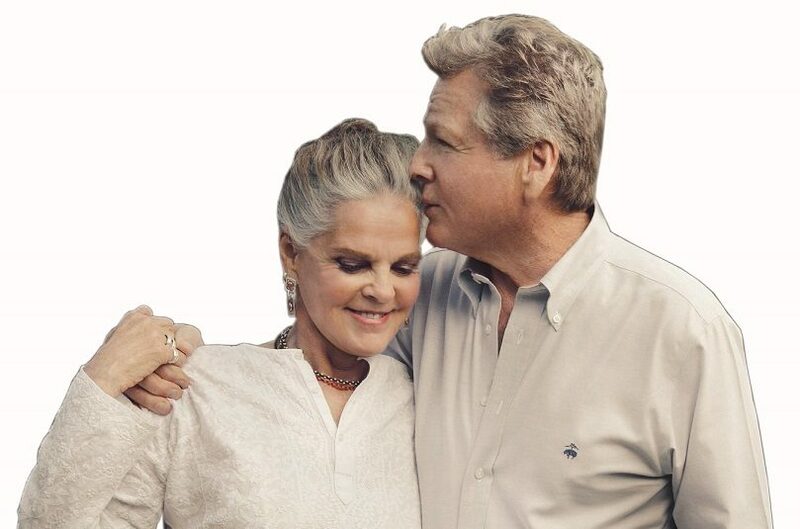 Hollywood legends Ali MacGraw and Ryan O’Neal are reunited to star in the upcoming UK tour of Love Letters, celebrated playwright AR Gurney’s enduring romance about first loves and second chances. Following a critically-acclaimed Broadway run and sell-out US Tour, the production comes to the UK for a 12-week tour, opening next September at the Theatre Royal Bath. Tickets will go on sale early 2017. Andrew Makepeace Ladd III (O’Neal) wrote his first letter to Melissa Gardner (MacGraw) to tell her she looked like a lost princess. They were both seven-years-old. For the next fifty years,through personal triumphs and despair, through wars and marriages and children and careers, they poured out their heartfelt secrets to each other. They defied a fate that schemed to keep them apart, and lived for the one most meaningful thing, their undying love for each other. Producer, David Ian, said: “I am absolutely thrilled to be bringing two such huge stars to the UK in this wonderful and moving play. “Ali MacGraw and Ryan O’Neal are true Hollywood legends and it will be very special indeed to see them live on stage together”. MacGraw acting career began with Goodbye Columbus. The movie was an international success. Wanting her next film to be something special, Ali looked for a script that touched her on a personal level. That picture was Love Story	and it proved to be her big break. She went on to star in The Getaway with Steve McQueen, Convoy, Herman Wouk’s epic mini	– series, The Winds of War, with Robert Mitchum and Dynasty. Ryan O ’ Neal, 75, trained as a professional boxer before becoming a stuntman and then landing his big break as the star of Peyton Place and, later opposite MacGraw in Love Story. He was a much sought after star in the 1970s, often playing comedy or romantic leads. He appeared starred opposite Barbara Streisand in the smash hit What’s Up Doc, then with Jacqueline Bisset in The Thief Who Came To Dinner, Paper Moon, Barry Lyndon and The Main Event.